Formed from a spontaneous rally of riders meeting at Newlands Corner, just outside of Guildford in Surrey, in the early summer of 1950, the LE Velo Club has survived the changing values of more than six decades. Now into its 7th decade, it has over 1300 members worldwide and is a limited company committed to promoting the enjoyment, riding and restoration of the post-war lightweight models - the LE, Vogue, Valiant and Viceroy. 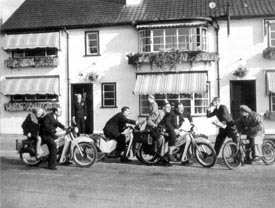 In its early years the Club established a strong interest in long distance touring, coupled with a close relationship with Veloce Ltd. In 1957 its membership stood at near 800. However, its subsequent decline mirrored the fortunes of Veloce, such that at the time of the factory's closure there were fewer than 350 members. By 1973 it was apparent that few dealers would remain loyal to the LE. Further, it appeared that little information and technical expertise has survived the company's liquidation. The future of the Club was distinctly gloomy. However, a dedicated committee resolved that the Club would lead a post-Velocette revival of interest in the marque. To this end it established a spares scheme and a historical archive, the former being stocked with parts bought from dealers who were moving to other makes. By 1985, when the spares scheme had outgrown its storage space at the Spares Secretary's home, the Club bought a dilapidated building in Walsall at the West Midlands, and spent the next two years renovating it. Now it serves as a club house and spares store. The Club is now the pre-eminent source of LE spares. The original stocks from dealers has been augmented by purchases from many police forces, who used to own fleets of these machines for local patrol work. In recent years a large range of newly manufactured parts have been added to stock, designed by the Club's highly qualified and experienced spares team. The archives of the Club have grown considerably, thanks to donations of individuals, ex Velocette dealers and members of the Goodman family. It is now a major prime source of restoration information. The archive includes a great many Veloce drawings, the original factory sales records and a comprehensive register of surviving machines. Most of these have now been digitized and are in CD format. 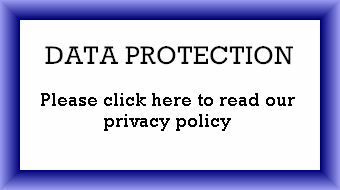 This site uses Portable Document Format (PDF) files. To view PDF files, you will need a PDF reader installed on your computer. If you don't have a PDF reader installed on your computer you can download one free from the Adobe site.